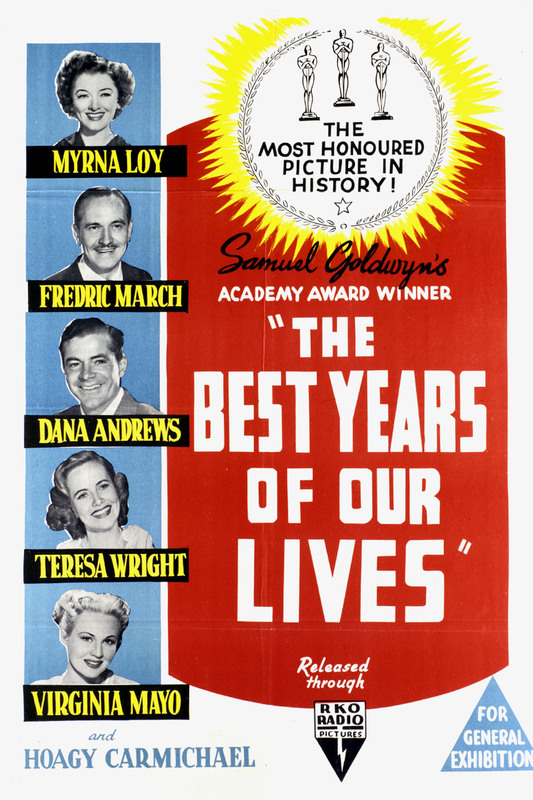 Last month, while visiting a college, I came upon a film on TCM called The Best Years Of Our Lives. It’s a post WWII film about the difficulties soldiers faced in acclimating back into society after being in combat. Directed by William Wyler, it was released in 1946 and stars Myrna Loy, Fredric March and Dana Andrews. While watching the film, I had an epiphany that older movies flow much better than many current films. There isn’t any rush to change scenes, which allows the viewer to better comprehend what they’re watching. The pace also gives the actors and directors more breadth. I was really able to appreciate the humor of Myrna Loy. 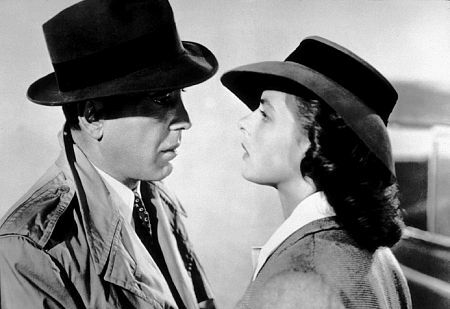 This weekend, I watched Casablanca for the third time (one of my mother’s favorite films). Release d in 1942, it is directed by Michael Curtiz and stars Humphrey Bogart, Ingrid Bergman and Paul Henreid. Casablanca is a WWII film taking place in French Morocco. What I really love about this film and other old movies is that they have amazing close-ups, which allow the viewer to appreciate the beauty and uniqueness of the stars’ faces. In this film, they show close-ups of Humphrey Bogart and Ingrid Bergman that are heavenly. Casablanca reveals the ambiguous complexity of right and wrong, unlike most movies of today. It shows the flat out truth of life, that there are no easy answers. I also screened North By Northwest, which I’ve seen on DVD and at Film Forum. 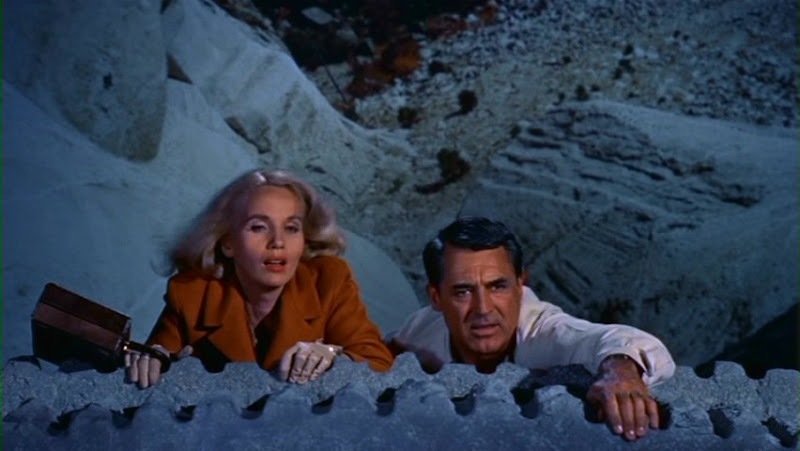 Directed by Alfred Hitchcock, it stars Cary Grant, Angie Dickinson and James Mason. It is a thriller/ adventure film made in 1959 about a clueless advertising executive who is mistaken for an American spy. The most extraordinary aspect of this film is that everything is shot on location, without any special effects or CGI. The iconic crop duster and Mount Rushmore scenes are done on location. This creates a real sense of verisimilitude, whereby the viewer feels as if it’s happening to them. While I used to have a prejudice against old movies. Now, I am gaining an appreciation for them and starting to slowly move away from all the typical Hollywood blockbusters. 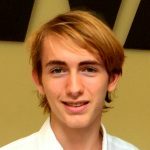 This entry was posted on Thursday, May 18th, 2017 at 1:20 am and is filed under Film Critics Blog. You can follow any responses to this entry through the RSS 2.0 feed. Both comments and pings are currently closed.